So.....What did I learn during February 2018? The word 'No' is one of the most powerful words in our vocabulary. As children we are taught not to say it but once we embrace it as adults we can change our lives, our self-confidence, relationships, social media, politics. I learned about 'folly' by reading 'Buddenbrooks' by Thomas Mann. It was thoroughly depressing, portraying lives not fully lived by following social status perceptions. I then went on to read 'Letters from Henry Miller to Hoki Tokuda Miller' and saw the folly of an old man's infatuation with a much younger woman and then his bitter disillusionment. I'm working my way through all the unread books gathering dust on my bookshelf. In an attempt to be a little more upbeat I watched the film 'The Dressmaker' - quirky, entertaining but captures the worst in people. The protagonist's revenge was amusing but disturbing. My attempt to be upbeat left a sour taste so I then watched 'Room' - very disturbing but made me look at everyday life through fresh eyes and so ironically, I ended up feeling content and grateful. 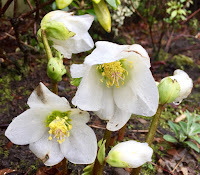 I discovered that the Helleborus flowers in my garden were said to be good for breaking bad spells and curses, so were often planted next to the front door. Then, the Beast from the East hit the UK (follow this link for a brief look at what happened at the back of my home). LINK TO BEAST FROM THE EAST VIDEO I had four days of snow blizzards, 90 miles-per-hour winds, -11 temperatures and then ice. It began to thaw yesterday and to my utter surprise my helleborus look as fresh as when they first bloomed despite being buried under a foot of snowdrift. There's nothing like a bit of extreme weather to focus the mind. I got a lot of work done and had the bonus of some quality time with my family. Would you prefer to be in the mind of a killer or his ideal victim? Why not try both? 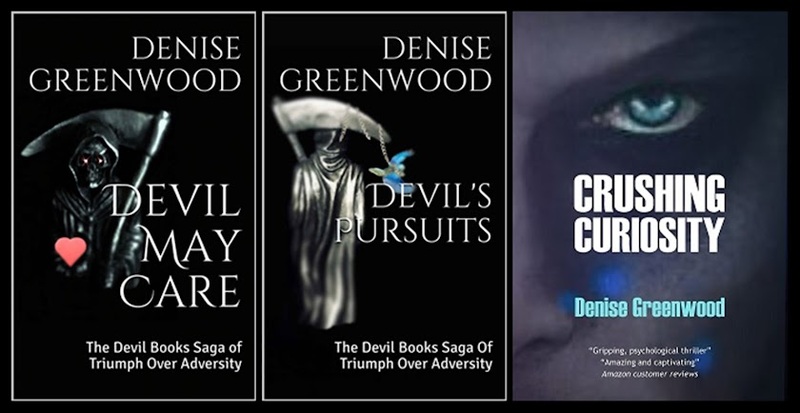 My psychological thriller 'Crushing Curiosity' is more than a chase. It's a journey into boundaries.